A design inspired by the Freemasonry symbol. A sticker from our collection of MacBook stickers to decorate your Apple device. If you believe in this ideology and have a plain MacBook then this is the ideal decal to give your device a fresh and new appearance. Personalise your Mac or iPad in any way you like! 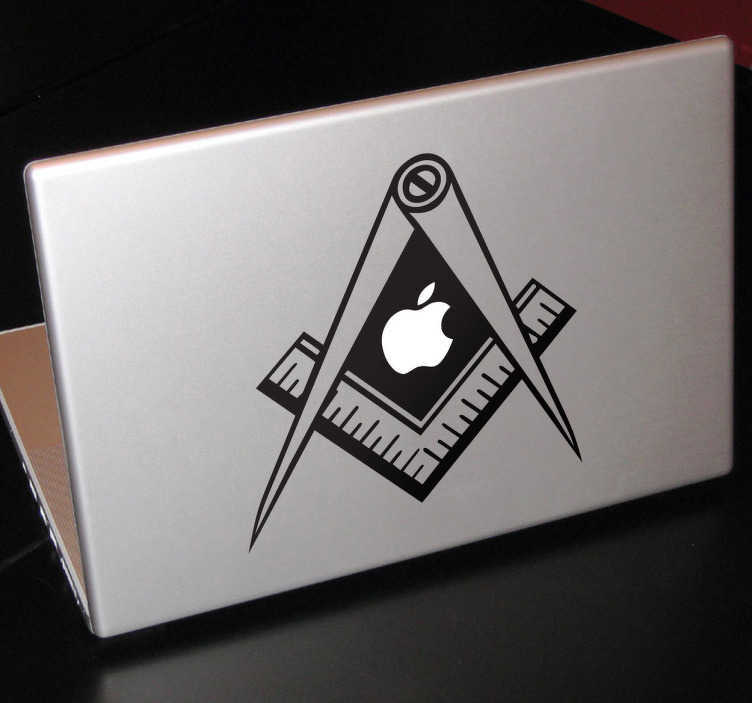 This masonic compass symbol for Macs is easy to apply and remove. Made from high quality vinyl. Available in various colours and sizes.